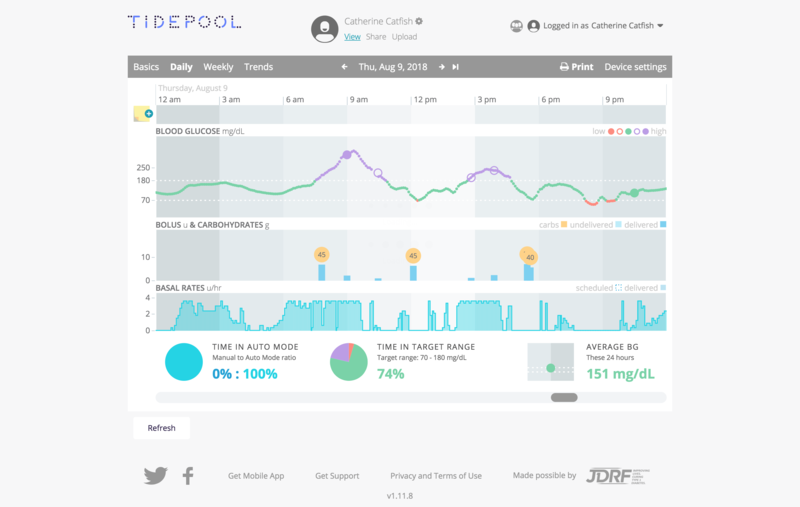 Sharing your data is up to you, the person with diabetes. You are in complete control. We do not do anything with your data without your explicit permission, this includes giving your clinician or other care team members access to your data. 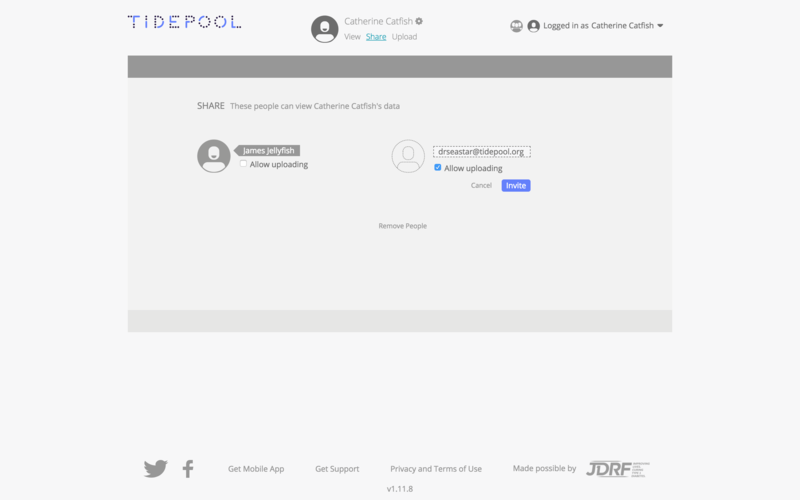 Once you have given permission for others to view your data, you can also choose whether or not they also have the ability to upload your devices via the Tidepool Uploader. Sharing your data with a physician or physician's office to view and upload data from a clinic. Sharing your data from a child's account with parents or other caregivers to view and upload data. Sharing your data with friends to view so you can share your experiences. Sharing your data with a clinical study principal investigator so they can use your data in their research. 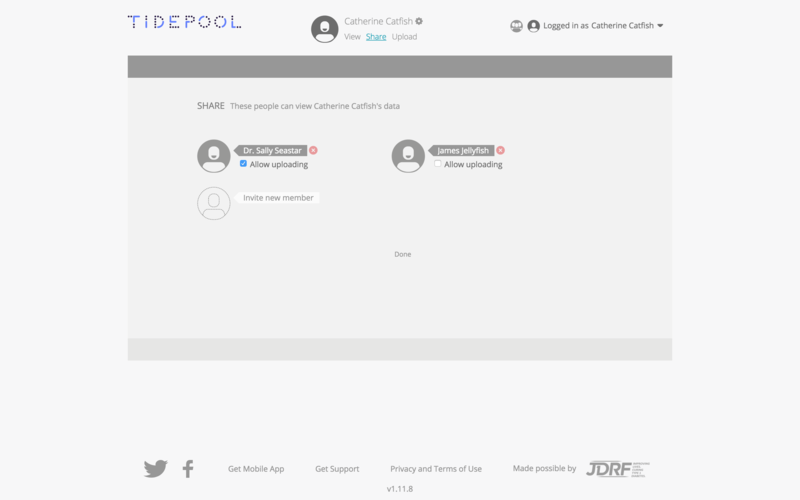 Sharing your data with the Tidepool Support Team (support@tidepool.org) to help troubleshoot potential problems. 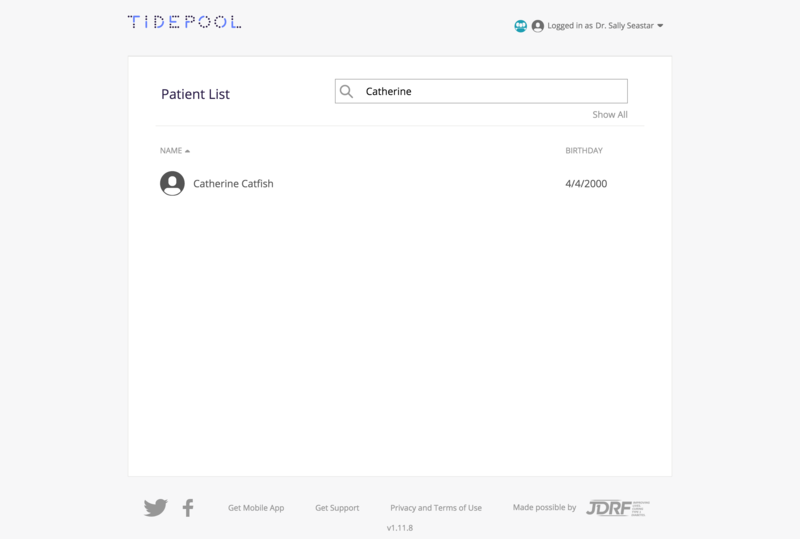 First, using Google Chrome, please log in to your Tidepool Account at https://tidepool.org/signin. At the top of the Tidepool app, you will see your Account Name with several options below it. One of the options is “Share”. Please click this option. The next page you will see will show everyone that you have granted access to view your data. If you have not yet invited anyone, this screen should only show the empty person icon and “Invite new member” prompt. If you click “Invite new member” you will be asked to enter an email to invite to see your data. 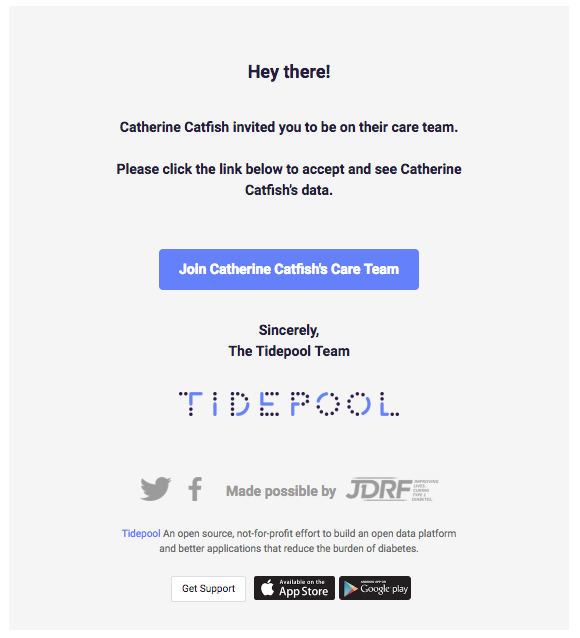 Enter the email address of the Tidepool account you wish to share your data with. You also have the option to decide whether or not this invited user can upload data to your account as well. You could, for example, invite your physician’s office so that when you go into the office, you can upload to make sure that you have the most recent data. 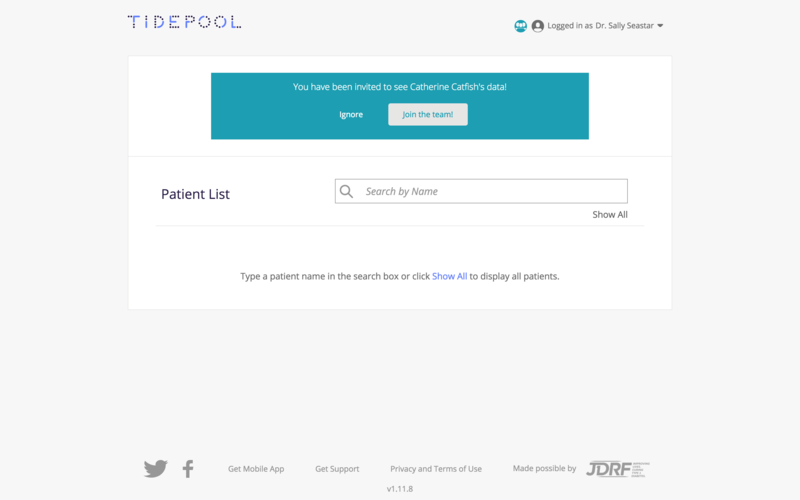 Once you click “Invite” an email will be sent to the addressee inviting them to create a Tidepool account or, if they already have an account affiliated with that email, it will invite them to accept your invitation to view your data. It will read, “Waiting for confirmation” until it has been accepted. The email address you entered will automatically receive an email informing them of the new share request. After they click “Join the team!” they will see the account name on their menu and can click to view your data. After a share request has been accepted, your list of accounts you are sharing your data with will also be updated. 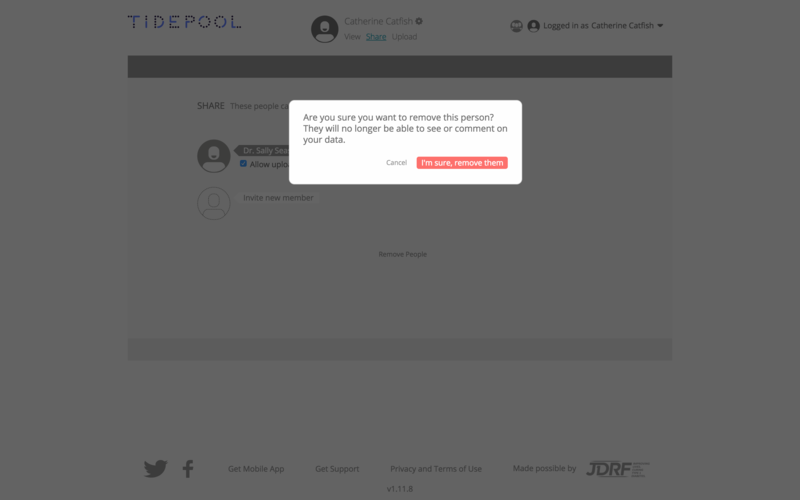 You can remove anyone you have invited to see your data by clicking "Remove" on the bottom of share page and then clicking the red X to the right of their email. You can also turn off their ability to upload by unticking the box below their name. Before removing access to your account, you will be asked to confirm this action. Please reach out to support@tidepool.org if you have any questions or feedback on this article.